In another tale of trash as treasure, I discovered an entire set of index tab dividers in an old file cabinet purchased from a yard sale. 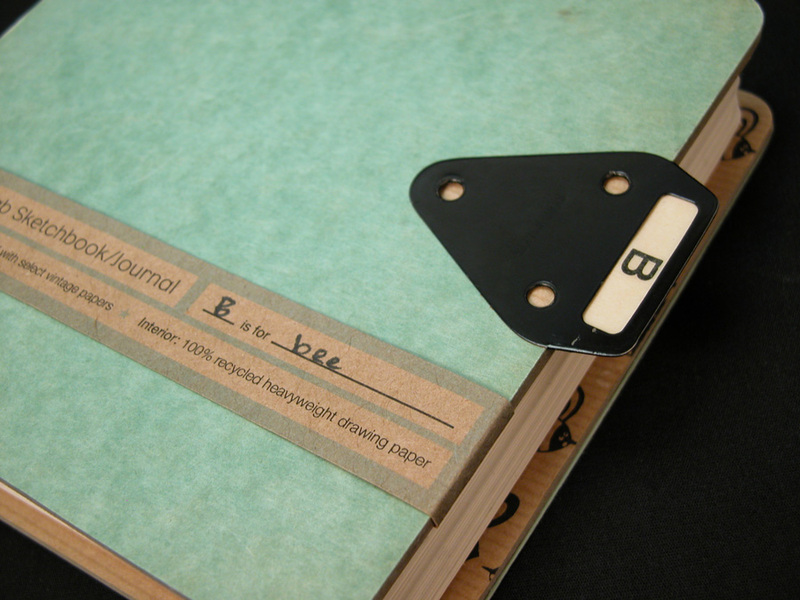 The sturdy metal tabs and office green cardstock showed blemishes and character from years of use. Once an important office accessory, these dividers were now (to my excitement) in line to become book covers. For reinforcement, I adhered each divider to book board and lined the inside of the covers with a paper related to the tab’s letter. I filled the inside with recycled drawing paper and bound each book using a coptic stitch. A few of the books that made their way into a retail shop included an informational label which wrapped around the front cover. Not long ago I was inspired by a beautiful green egg carton that I spied at the supermarket. A sucker for paper and for the color green, I purchased the more expensive eggs so that I could take this pretty disposable item home with me. Not wanting to throw it away, I came up with a way to reuse the egg carton and make it more valuable at the same time. The result? 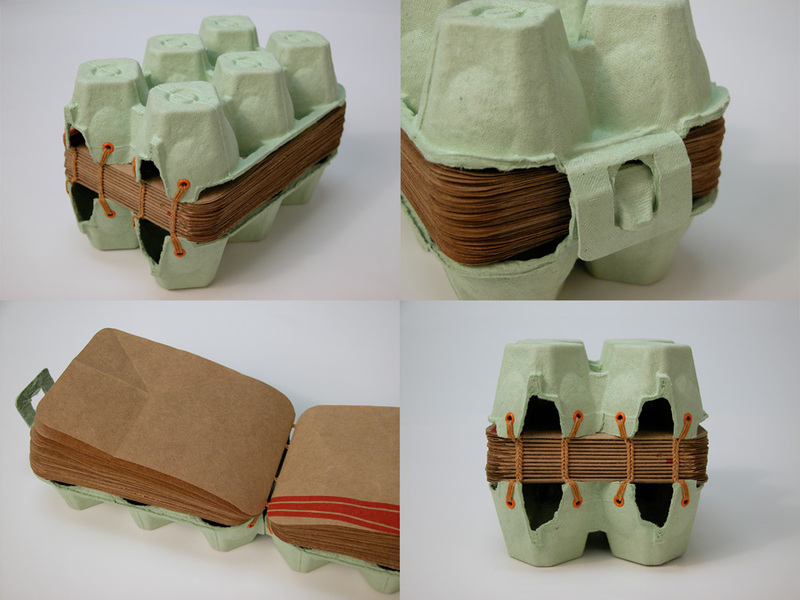 An egg carton book. I created a new egg carton book as part of an upcycling contest, sponsored by Etsy. The requirements limited the primary materials to something that would typically belong in the trash or recycle bin. This time I used paper grocery bags for the interior pages, making the entire project from objects brought home from the local supermarket (except a few binding materials). There were some incredibly creative entries in Etsy’s upcycling contest. Here is a bit about their top four picks. You are currently browsing the Erinzam News weblog archives for March, 2007.